WASHINGTON— The eastern hellbender, North America’s largest salamander, is among 10 species threatened by the Trump administration and its plans to weaken the Endangered Species Act, according to a new report out today. The administration is on the cusp of finalizing rules drafted by the U.S. Department of the Interior designed to make it harder to protect imperiled wildlife and important habitat. The Center for Biological Diversity nominated the hellbender for the report because the proposed rules would make it harder for the species to gain lifesaving protections. The species, which has suffered significant declines, is threatened by habitat destruction and pollution. This year the Trump administration proposed regulations that would allow the U.S. Fish and Wildlife Service to consider economic impacts when deciding whether to protect wildlife under the Endangered Species Act. If approved this policy change would mark a dangerous shift away from the agency’s current practice of basing its decisions solely on science. The change could inject unnecessary controversy and slow or stymie protections for imperiled species like the eastern hellbender. Known by colorful names like “devil dog,” “snot otter,” “grampus” and “Old Lasagna Sides,” the eastern hellbender grows up to 2 feet long. Its nicknames describe the loose, frilly skin along its sides and the mucus-like secretions it expels when frightened. The hellbender’s range includes New York, Pennsylvania, Maryland, Ohio, Illinois, Indiana, Virginia, West Virginia, Kentucky, Tennessee, North Carolina, South Carolina, Georgia, Alabama and Mississippi. Hellbender populations have dropped by as much as 70 percent across most of the species’ range due to water pollution, dams and disease. The hellbender is particularly vulnerable to water contamination because of its permeable skin and sensitive eggs, which it lays in water. 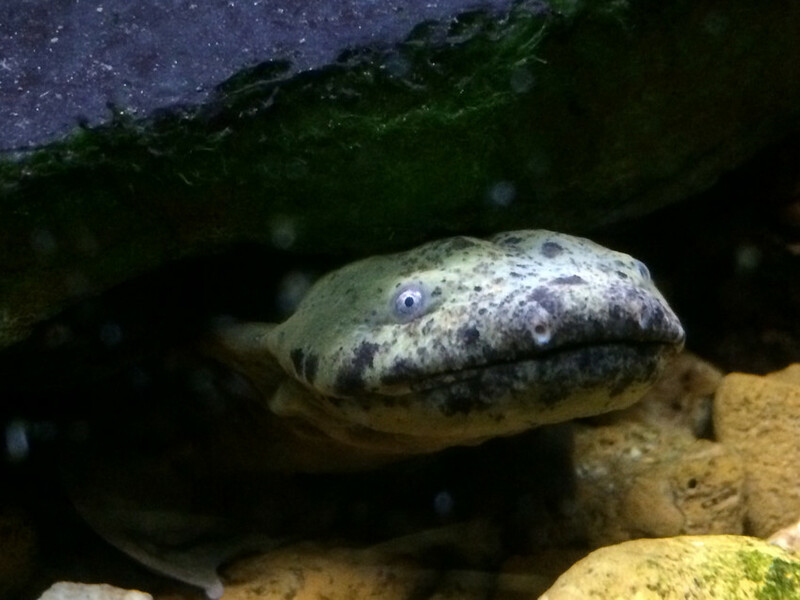 The Center petitioned the Fish and Wildlife Service to protect the hellbender under the Endangered Species Act in 2010, and scored a legal victory in 2013 to accelerate those protections. The hellbender is still under review for those protections. The new Extinction Plan report highlights 10 species nominated by the Endangered Species Coalition’s member groups and reviewed by a committee of distinguished scientists. Species include: California condor, giraffe, hellbender, Humboldt marten, leatherback and loggerhead sea turtles, red wolf, rusty patched bumble bee, San Bernardino kangaroo rat, West Indian manatee and western yellow-billed cuckoo. The full report, along with photos and additional species information can be viewed and downloaded at http://endangered.org/extinction-plan. Although the Trump administration and some members of Congress have sought to weaken the Endangered Species Act, public opinion research indicates that the law continues to maintain broad, bipartisan public support. A 2015 poll conducted by Tulchin Research found that 90 percent of American voters across all political, regional and demographic lines support the Act. In 2017 more than 400 organizations signed a letter to members of Congress opposing efforts to weaken the Endangered Species Act, noting the law has saved 99 percent of wildlife under its protection from extinction. Those include some of the country’s most iconic species like bald eagles, humpback whales, American alligators, Channel Island foxes and Tennessee purple coneflowers. The Endangered Species Coalition produces an annual top 10 report with a different theme each year. Previous years’ reports are available on the coalition’s website. Hellbender photo by Tierra Curry, Center for Biological Diversity. This image is available for media use.